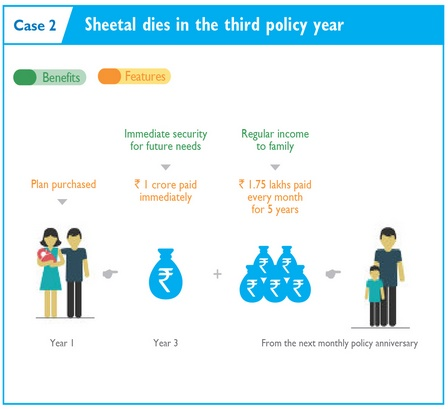 Are you going to buy a policy that protects your spouse’s and your life in one policy for husband wife? Then you are at right place! Well, the Aegon Religare I Spouse policy meets all your requirements! How? Here is the review of the policy. Have a look at it. The Aegon Religare I Spouse policy protects the working couple. It gives you lump-sum as well as provides regular income. You can go for a policy online and avoid doing the paper work. You should purchase this plan if you are a working couple, want regular income with an instant lump-sum, have financial responsibilities, and have other dependents. We will take one example to understand this policy better. For example, Ramesh is of 30 years age and is a mechanical engineer and his wife is business analyst. They have a son named Ajay who is 3 years old. They have purchased various assets together with a house. 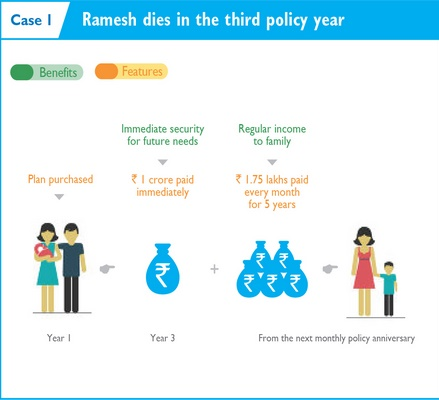 Ramesh is familiar with the fact that his wife’s income is an equivalent contributor to the household income. Moreover, he desires to ensure that both their futures are secure. In addition, to make sure that in his or his wife’s absence they continue to live the same lifestyle, he is going for Aegon Religare iSpouse Insurance Plan. His cover amount is Rs 1 crore (sum assured), policy term 30 years, and annual premium is Rs 26,600/- exclusive of service tax. The total benefit paid is Rs 2.05 crores and in case of an accidental death of Ramesh, his wife will get an additional payout of Rs 50 Lakhs as lump-sum. The total payout is Rs 2.05 crores and in case an accidental death of Ramesh’s wife, Ramesh will get an additional payment of Rs 50 Lakhs as lump-sum. 4. Additional payment on accidental death. How to buy this plan? The Aegon Religare iSpouse Insurance Plan provides you online purchase of the policy. Here are the steps to get the policy online. 1. Select the cover amount and period of cover. 2. Based on the cover amount, the premium amount will be determined. 3. Pay online using either your debit/credit card or your internet banking facility. 4. You can expect a verification call from Aegon Religare’s call centre once you have applied for the policy. 5. After the payment is made, your policy will be issued within 10 to 14 working days. 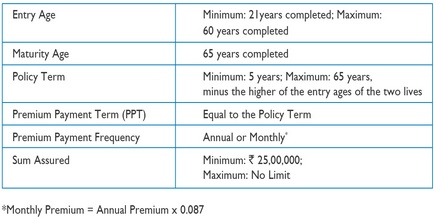 Here is the eligibility to get the Aegon Religare iSpouse Insurance Policy. You can make your plan more inclusive by choosing the below stated rider. So, this is the Aegon Religare iSpouse Review. Don’t waste your time! Go for this policy and insure your and your wife’s life today! What are other benefits of Join Life Insurance Policies? The detail post on benefits of Join Life Insurance Policy are listed on this link.